Safety is a critical issue in health care and for people new to Reiki practice. Credible Reiki professionals speak about safety in clear, logical language, without resorting to beliefs, so that people can make their own decisions. There are two aspects to safety: client safety and practitioner safety. Is Reiki Safe? is a special two-part recording. Part 1 addresses client safety and Part 2 addresses practitioner safety, including practical tips. Part 1 — MAINSTREAMING REIKI: Is Reiki Safe for the Client? Or do you just expect people to sign on to your belief system? I’ll explain how you can satisfy this very reasonable question, even if it’s a physician asking, both in general, and for any specific situation. 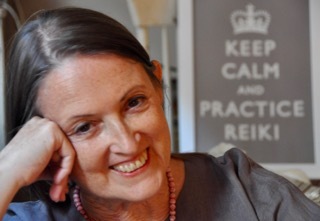 Part 2 — MAINSTREAMING REIKI: Is Reiki Safe for the Practitioner? Reiki practice may be safe, but is the practitioner safe? There are two aspects to this question: Is the practitioner safe for the client and is the practitioner him/herself safe? Do you conduct yourself in a way that is safe for your clients? How would you know if you do not? How do you communicate to others that you are safe? Finally, is the practitioner him/herself safe? Honestly, yes — but not necessarily. practical steps to regain balance when something uncomfortable happens (because it can happen to anyone). SPECIAL FEE! Instead of $19.99 each, both recordings are only $29.99. You save $10.